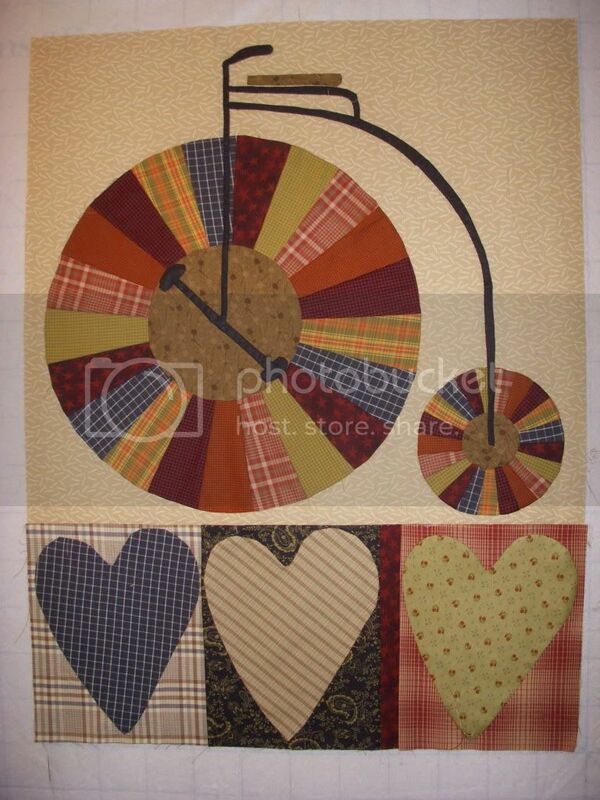 For my bicycle quilt, instead of the stars that pattern had, I substituted hearts. THat is so charming. I am desperately looking for something a bit different, a pattern or some way for me to sketch out a crazy quilt with my local bike path and the local landmarks...the rest stations, and the local library etc... but I think I may have to try to do it all on my own. Eeeek. I like a pattern! It's official! I am addicted to quilting. I started quilting just over two years ago...Wait! I just realized that it has been almost 4 years. Time does fly. I am absolutely still in love with it. My stash is getting bigger, slowly. My quilting interests are all over the place. I love primitive all the way to modern pieces.